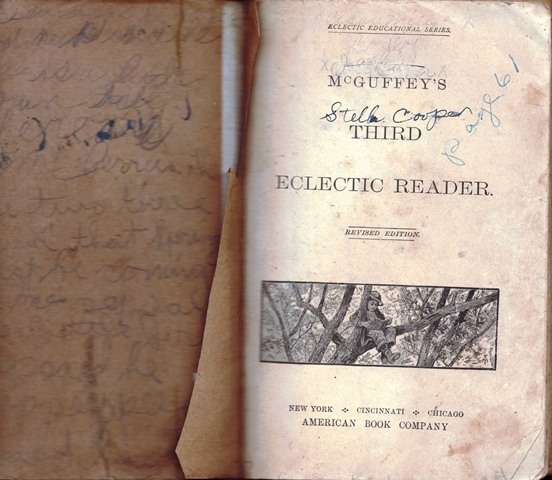 My Mother loved the McGuffey Reader! 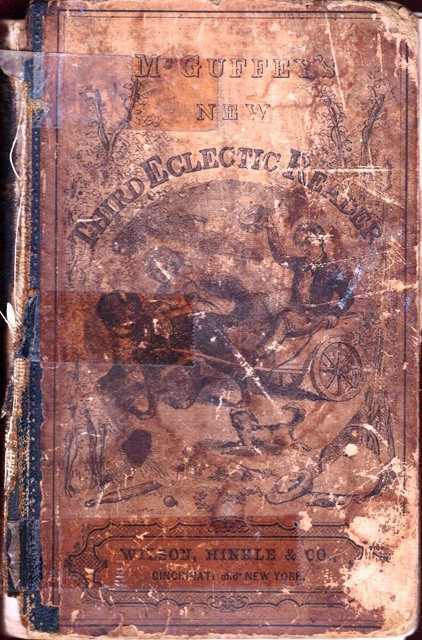 The second photograph above is from a McGuffey’s New Third Eclectic Reader that she acquired when I was a child; the top copy came into her life after her mother died. I so like seeing her maiden name written on a book; it is the only such example that I have. I have often said that 99.99% of all Bible verses that I know by heart, are because they were scriptures my Mother quoted to me and my sisters. My Mother often recited scripture, antidotes, and poems – words she felt were worth sharing, which she had, over her lifetime, committed to memory. After the Bible, the book she most loved, read, and memorized, she would speak of the McGuffey Reader; her source of so much, including her mastery of grammar and holder of antidotes and tales. I was always so impressed by the things my Mother had memorized in her life, including President Abraham Lincoln’s Gettysburg Address; especially since my Mother was not a huge fan of history. I so wish I had written down more of my Mother’s wisdom and wit; if you still have an opportunity to record your family history, by all means do! This entry was posted on November 30, 2018 at 2:06 pm and is filed under Archived Post, SlideShow, The Dialogue, The Reverend’s Ignacio and Stella Cooper Mosqueda Book Scholarship. You can follow any responses to this entry through the RSS 2.0 feed.